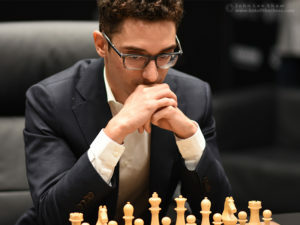 World Chess Championship 2018 taking place in London, United Kingdom, between November 8th and 28th. After two rather tense games, game three is a more quiet affair, striking a consolidatory feel. Welcome back dear reader, I hope that this finds you well and refreshed after Sunday’s rest day. I think we needed it as well as the players after the first two games of this Championship! 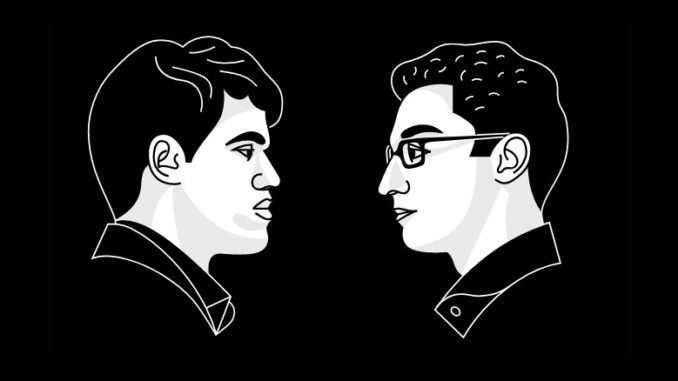 We really have been spoiled in the opening games, which were tense and saw a glimpse of Magnus Carlsen and Fabiano Caruana with their swords drawn. This third game had a bit of a different feel to it. You know that in Chess, we have waiting moves, where we play something useful to hold things? Well, this was a bit of a waiting game in my opinion. It just did not have much to it. Now, I could waffle on about history and theoretical stuff to fill things up a bit and make myself look really knowledgeable, but I am not going to. It was just a banker game, plain and simple. Fabiano Caruana didn’t get much from his 1.e4 today, but at least didn’t suffer for it either! There will be these kinds of games in this battle and there are many reasons for this. Later on, fatigue will play a part, certainly. But at this stage, there may just be tweaks in preparation to do, or they want to keep the opponent guessing and not reveal their hand just yet. I think this is quite likely. When the surprises come out, they want them to come out with a bang! We have this to look forward to, so keep that in mind when these uneventful games happen. As has been remarked about the games so far, it is Black who is getting the best out of the openings. This trend did continue in game three, to a certain extent. 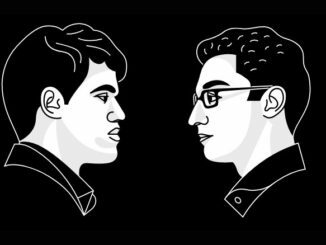 It took a little longer than game one, but Magnus Carlsen had no worries as Black and managed to keep Fabiano Caruana at bay. Though he never obtained any winning chances, unlike game one, he was equal at worst in the later stages. But what can we take from this? To be honest, I don’t think we can take anything from it at all. 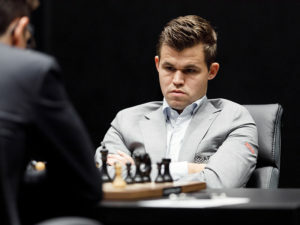 As Magnus Carlsen said in the press conference, it is just three games. I don’t think we have seen anything from these players yet. They are putting the feelers out and testing the water, the drama and excitement is yet to come and that is a very positive thing to say considering games one and two didn’t do too badly at all! 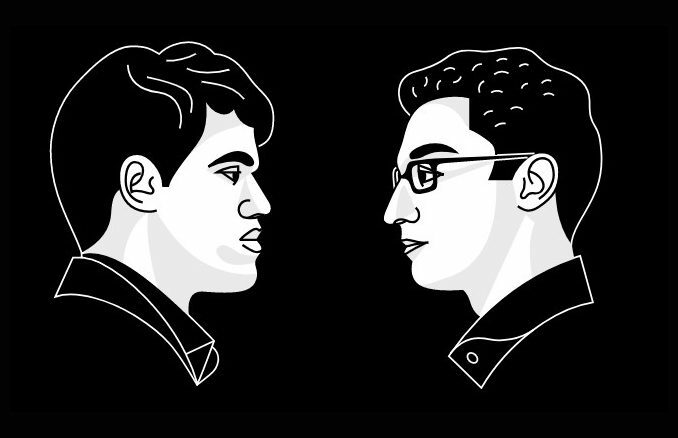 Game four is on Tuesday, then, with Magnus Carlsen having White. Interestingly, he will now have two Whites to take us up to the half way stage of the match. I think he will want to win at least one of these games. Actually, both players will want to lead at the halfway stage, don’t you think? So, I suppose we should be watching out for Fabiano in game five. If I was Magnus Carlsen, I would want to get in early and put pressure on that fifth game, wouldn’t you? I guess what I am trying to say, is, there is a chance that we could see some fireworks from Magnus on Tuesday! Fingers crossed, dear reader!